The craze about snoopy has come back again and yes recently I had watched the Charlie Brown movie and it had kind of encourage me to visit their theme Cafe in Cineleisure after such a long long time. 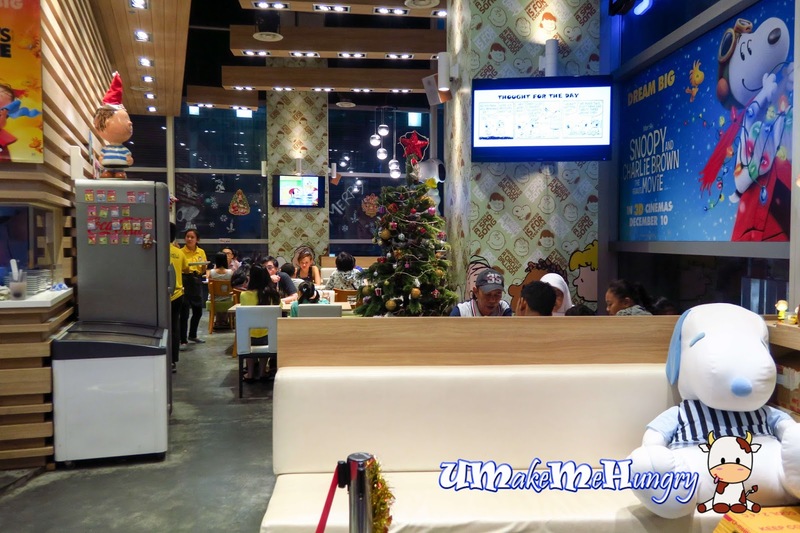 For those who are unaware, there are two Charlie Brown Cafes in Singapore and the other one is located in One KM Mall. 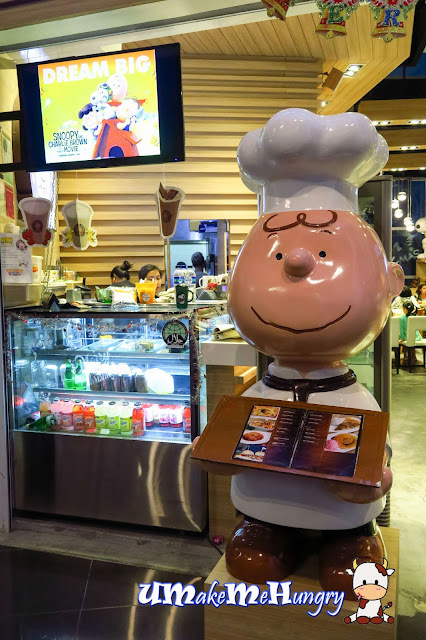 Charlie Brown Cafe in Cineleisure is located at 4th Storey in one corner. 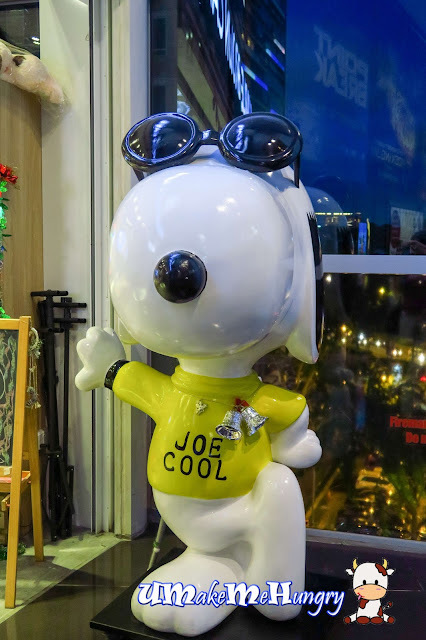 Be greeted by the simple and cool looking snoopy in its shades at the doors. 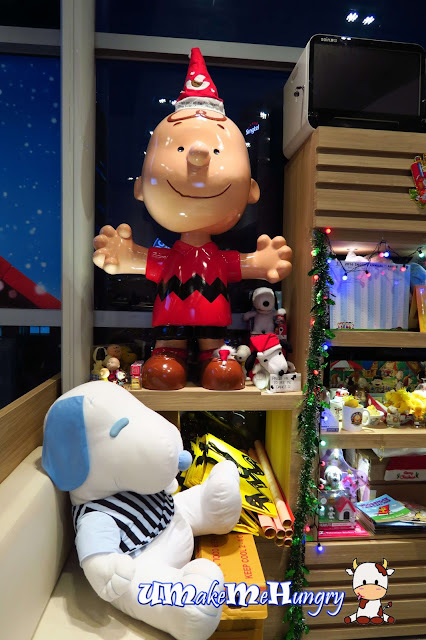 Hospitality from Charlie Brown Cafe is not too bad as you are greeted by snoopy and charlie brown with a menu in his sincere look. 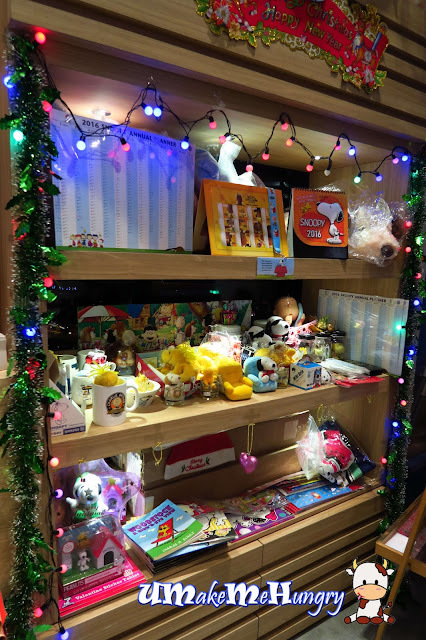 In its theme cafe, you get to watch their cartoon programs from the television, plush on the sofa, and you can even enjoy kinds Charlie Brown related toys, stationery off their display shelf. Snoopy and Charlie Brown! 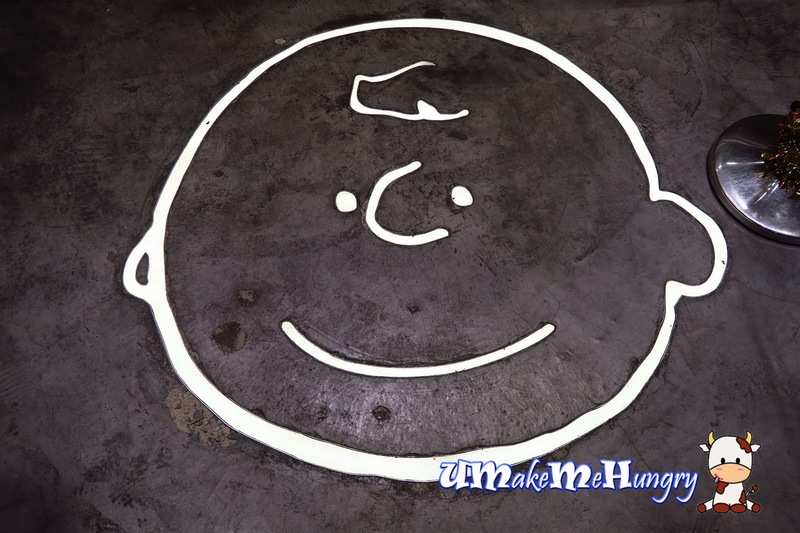 Take a Selfie Here! If you notice, you will see Charlie Brown's face right at the doorstep on the cement screed flooring. Charlie Brown at the entrance. 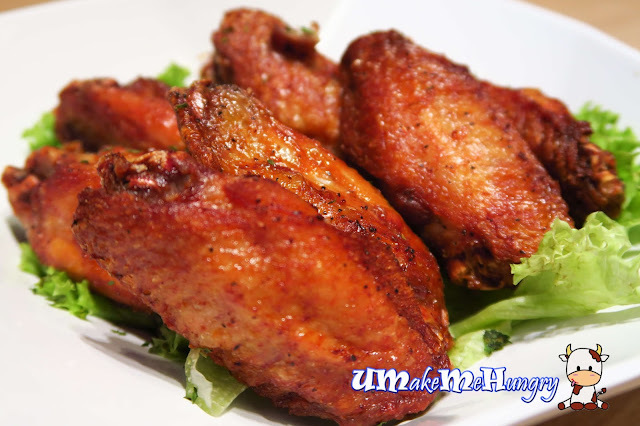 The best thing about chicken wings is that they have to be served hot, golden on the outside and juicy on the inside. The signature wings fit all of that. Nothing beats my all time favourite choice of Pizza for I'm an absolute Hawaiian Lover. Just right that their Hawaiian Pizza is one of their recommendations. 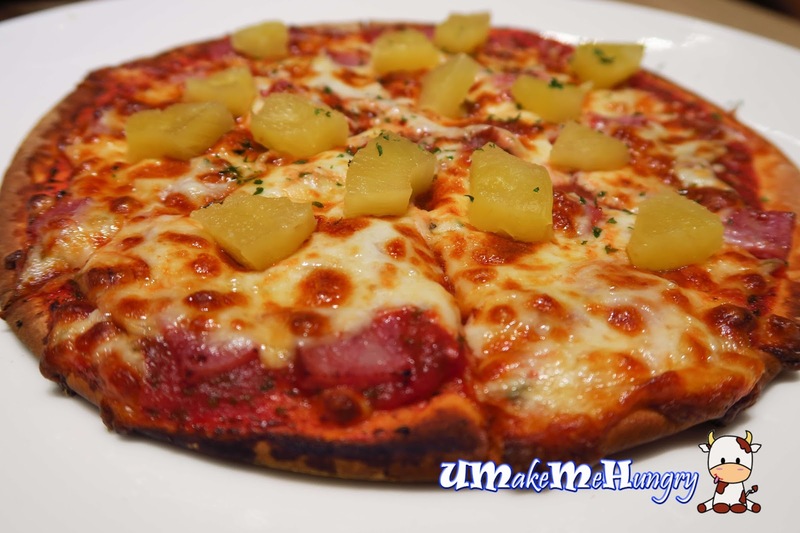 Its thin crunchy crust was baked to perfect edges, charred and spreaded with juicyturkey hams, pineapple cubes on a tomato base mixed with mozzarella cheese. Yum Yum! Crepe on the other hand was quite normal, folded with nutella chocolate wrapped inside and served with a scoopy of cookies & cream ice cream. 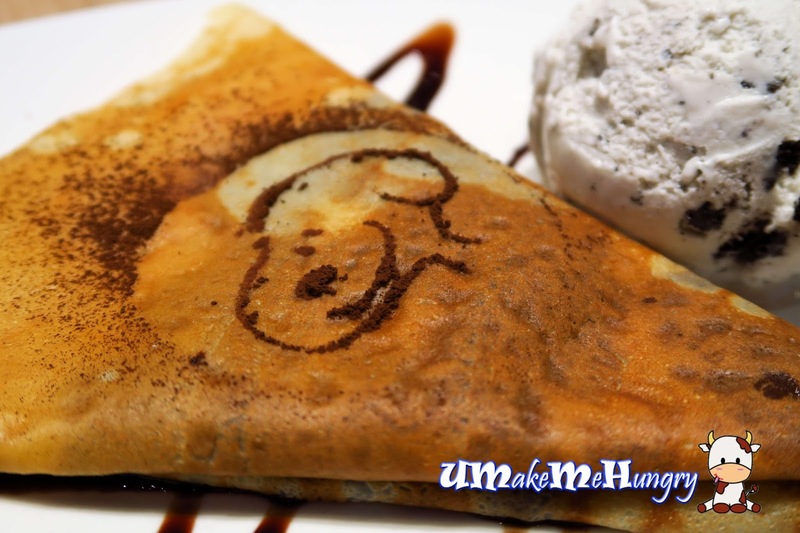 The crepe for this had snoopy drawn out of their chocolate powder. Overall, it was quite entertaining dinning in a Theme Cafe like this. I don't mind coming back again for their mains.